Flowers explains that while the right-hand path seeks union with and thus dependence on God, the left-hand path seeks a âhigher lawâ based on knowledge and power. It is the way of self-empowerment and true freedom. Beginning with ancient Hindu and Buddhist sects and moving Westward, he examines many alleged left-hand path groups, including the Cult of Set, the Yezidi Devil Worshippers, the Assassins, the Neoplatonists, the Hell-Fire Club, the Bolsheviks, the occult Nazis, and several heretical Sufi, Zoroastrian, Christian, and Muslim sects. Following a carefully crafted definition of a true adherent of the left-hand path based on two main principles--self-deification and challenge to the conventions of âgoodâ and âevilâ--the author analyzes many famous and infamous personalities, including H. P. Blavatsky, Faust, the Marquis de Sade, Austin Osman Spare, Aleister Crowley, Gerald Gardner, Anton LaVey, and Michael Aquino, and reveals which occult masters were Lords of the Left-Hand Path. 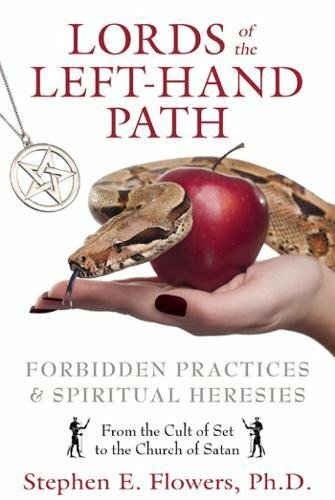 About: Examines the left-hand path and reveals the masters of the tradition • Explores the practices and beliefs of many left-hand path groups, including the Cult of Set, the Hell-Fire Club, and heretical Sufi, Zoroastrian, Christian, and Muslim sects • Investigates many infamous occult personalities, including Helena Blavatsky, Aleister Crowley, the Marquis de Sade, and Anton LaVey • Explains the true difference between the right-hand path and the left-hand path--union with and dependence on God versus individual freedom and self-empowerment From black magic and Satanism to Gnostic sects and Gurdjieff’s Fourth Way, the left-hand path has been linked to many practices, cults, and individuals across the ages.